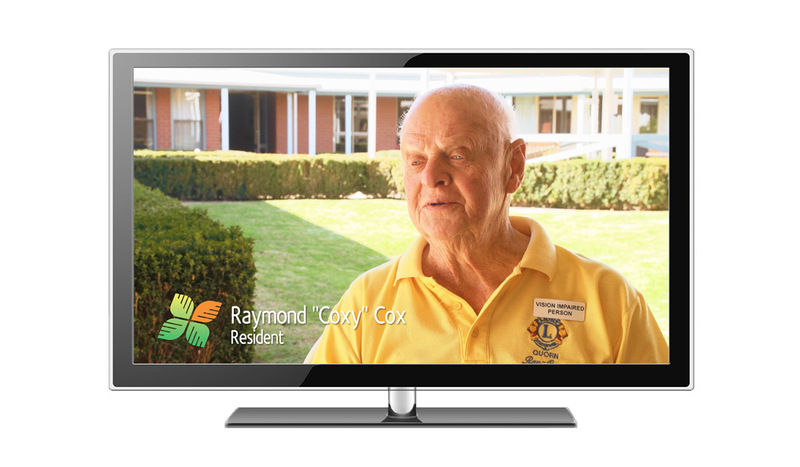 As a South Australian not-for-profit organisation, Helping Hand Aged Care aims to provide an innovative and broad range of residential and community-based services, enabling the best feasible quality of life for older people. 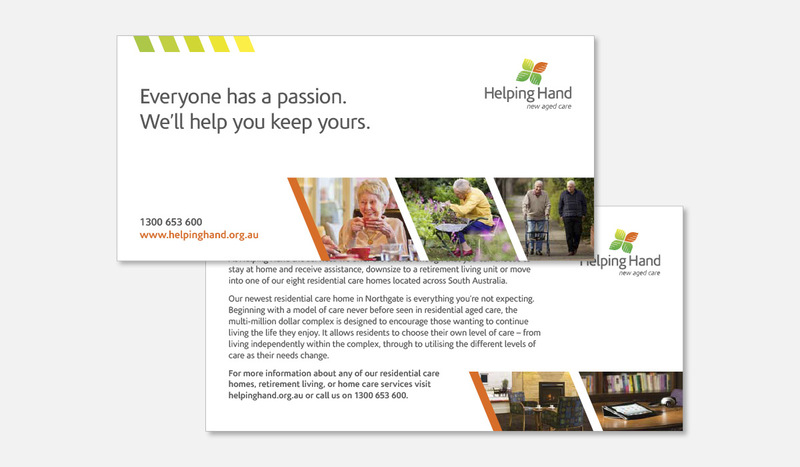 Since 2008, we have worked on numerous projects with Helping Hand, including the development and implementation of a number of marketing and branding  strategies. 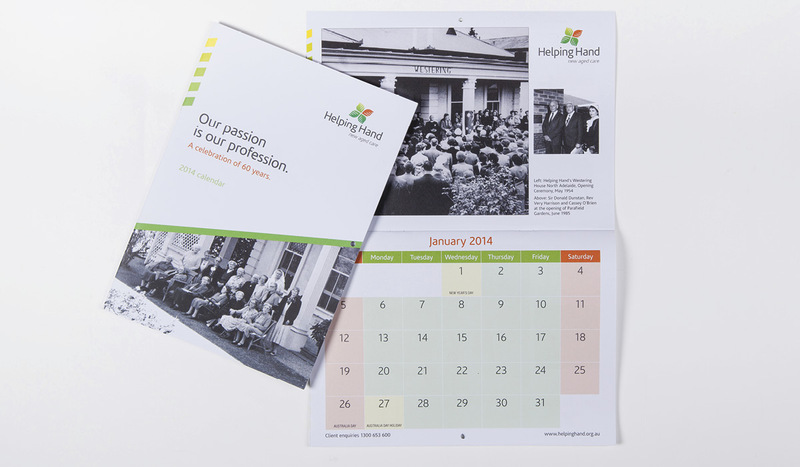 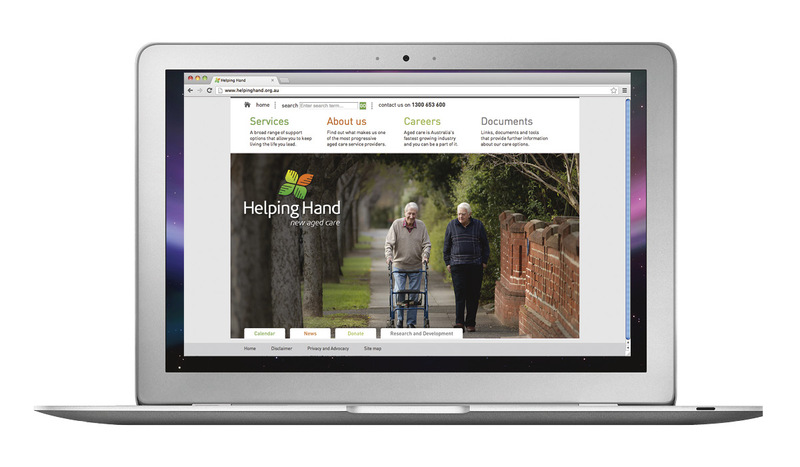 More recently, Algo Más designed a range of marketing collateral to reflect Helping Hands’ new brand  strategy. 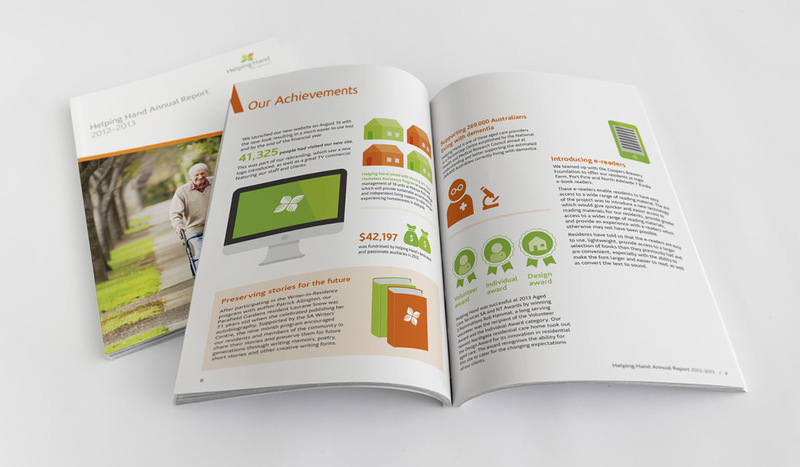 Collateral created included press ads, annual reports, DL flyers, A4 newsletter templates, A5 booklet, Word templates, posters and subsequently led to us designing and project managing the build of their new website.